On the 27th November 2009, I did two things. The first seemed far more monumental at the time – our move to Doha. The second was a last minute haphazard decision to start a blog. I figured that rather than send a group email out to friends and bombard them with large files with family pictures, I’d leave the decision up to them. Here’s what we’re up to, come and check it out if you’d like. I chose a blogging platform and began to write my first post. It was a mash of weirdly placed capital letters and my usual style of clumsy punctuation thrown onto the page without the respect it deserves. “We’ve made it! We’re FINALLY here in Doha.” I was sitting in my hotel room after a 17 hour flight with 4 children, a barking beagle, and G.
“What will you call it?” G asked while looking over my shoulder at the empty title box. I looked around our disheveled hotel room, the little travellers we asleep side by side, surrounded by suitcases. It was a complete shamozal. I began counting. “How about 4 kids, and lets see, 17… 18… 19… 20 suitcases and a beagle?” The name didn’t matter, it was just a personal blog. I mean it’s not like I was going to have to fit it on a business card or a letterhead anytime. Ha! It would just be us, and our updates. That’s how I’d thought it would be. A selection of posts with photos of the family with updates similar to something you might receive in a Christmas card. Trombone lessons, a basketball grand final, a trip to the zoo. The minute I opened the page, I began to think and write in stories. Just little stories, nothing monumental, nothing groundbreaking. Whatever popped up in my head that day: motherhood, travel, mobile relationships and the occasional feeling of isolation that comes with the geographical schizophrenia of having many homes. I wrote ten posts that year, forty seven the next, ninety five the year after, and then last year I decided to begin blogging every day. For over a year now I’ve been asked if I’d like to advertise on the blog. I’ve spoken to PR companies and businesses about sharing my space with you. Nothing felt right. I’ve talked about writing a media kit for months but I kept finding reasons not to finish it. Something felt weird about it all. I’d spent years working in Account Management and writing proposals but this was different. This was my space, you’ve become my friends and my support and what happens here is genuine. About a month ago G and I had the talk. The career versus blog versus returning to the office. I can make money from freelancing but was it time to return to what I knew? I realized that I really wanted to keep writing this blog. That it was much more than a hobby. It’s not just about recording the stories of our family, I also want to share the stuff I’ve learnt along the way. 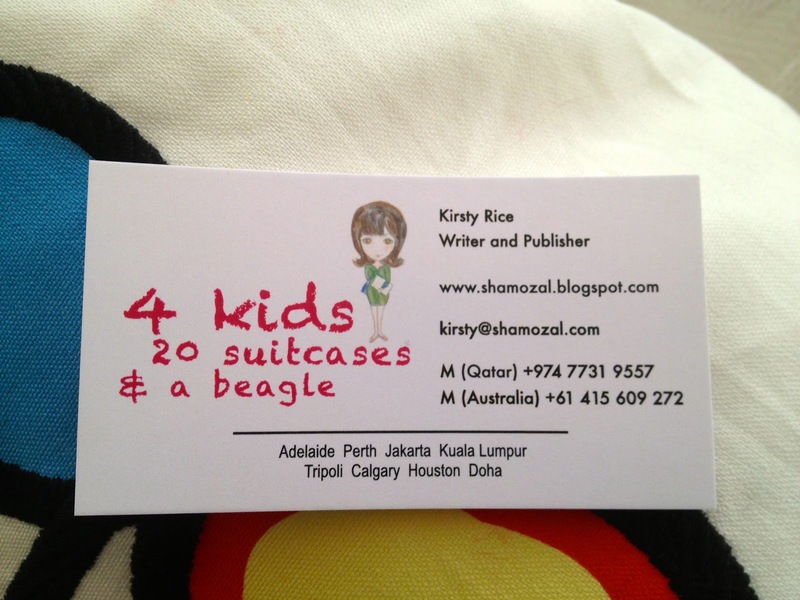 The tips for travelling with kids, the discoveries made while being pregnant in a foreign country. I love posting a question from Amy about where to sit on the plane with a one year old and seeing a community of women jump in with advice. That’s what this blog has become, it’s a community of women all over the world who pop by each day or maybe each week to have a laugh or a cry. So, this is what I’ve done. I written down a list of international brands that I’ve used and trusted over the past thirteen years. I’ve started talking to them about what I like about them and how my experiences could be shared. I don’t have to tell you this, but I want this process to be as authentic as it possibly can. When I tell you that there is absolutely no way that I will ever talk about a product I don’t feel comfortable with, I want you to know it’s genuine. I’ll continue to tell you about the bowls at the souq and the “highbrow” pencil I’ve fallen in love with. I’ll let you know if someone gifted something to me – but I promise you, you won’t hear about it unless I love it. Any post that is sponsored will be labelled as such, but please know that my intention is that these posts will continue as stories. Thirteen years ago I landed in Jakarta, green as grass to the expat experience. A beautiful English woman came to collect me, she was a part of an organization that had a “welcoming” committee. I was five months pregnant and was standing in the hotel lobby with a similar expression to that of a child on their first day at school. “Do you get paid for this?” I asked her cluelessly. “No my dear” she was horrified. “Expat women have been helping each other like this for years, this is what we do.” I apologized and we moved on in silence for a moment. And then, I guess maybe after considering the fact she’d rushed her children off to school and given up a morning to sit in traffic halfway across town to then show a complete stranger around Jakarta, she said “we probably should get paid though, yes bugger it, someone probably should pay me for this!” We both laughed at how she reached her indignant conclusion. This blog was a complete accident, an accident that has become a daily ritual and something that is just there, with me always. It’s not just a record for my children, it’s also about connecting with others and hearing their stories, your stories, while enthusiastically nodding away at your replies and comments. This morning I’ve heard from someone who was also in Libya, I’ve run into a blog reader at the supermarket, and I’ve emailed someone who is moving to Houston with advice on housing. I’ve also spoken to a PR company in Dubai. The blog seems to weave itself into my day, it has become the everyday, the ordinary. I’ve been lucky enough to meet people who have read this blog, people at parties who have instantly become friends. Really gorgeous women who have been very kind. Women who have encouraged me to keep coming here every day. But if I’m going to keep coming here, and not going back to the office, I guess I should probably think about how I’m going to get paid. Does that make sense? I hope so. I’m counting on you guys to tell me when I get it wrong.